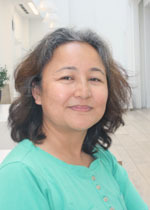 Skalzang has been Administrator for the India programme since the end of 2009. Her previous post was Programme Officer at Care Today Fund, an initiative supporting post-disaster relief and rehabilitation. Skalzang gained her degree in Delhi where PHF has its India office.